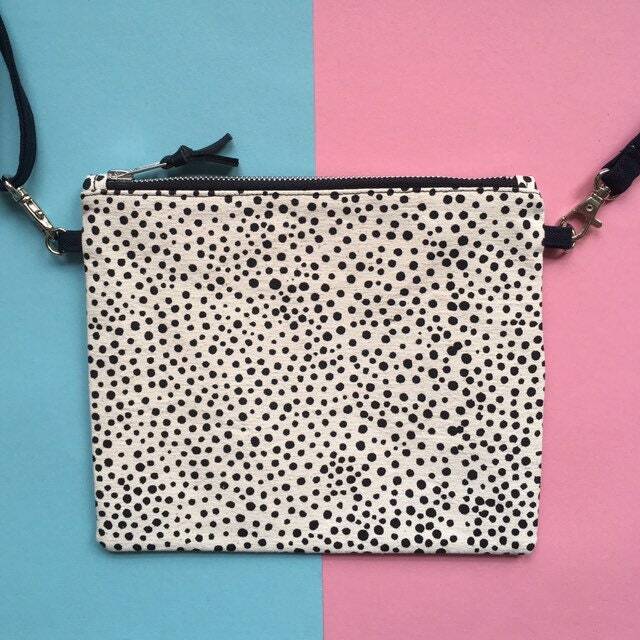 From design, printing, cutting and sewing, this zip pouch is all hand-made by me! This bag is small and compact so ideal for carrying your important things like wallet, phone and keys and large enough to fit a small paperback! 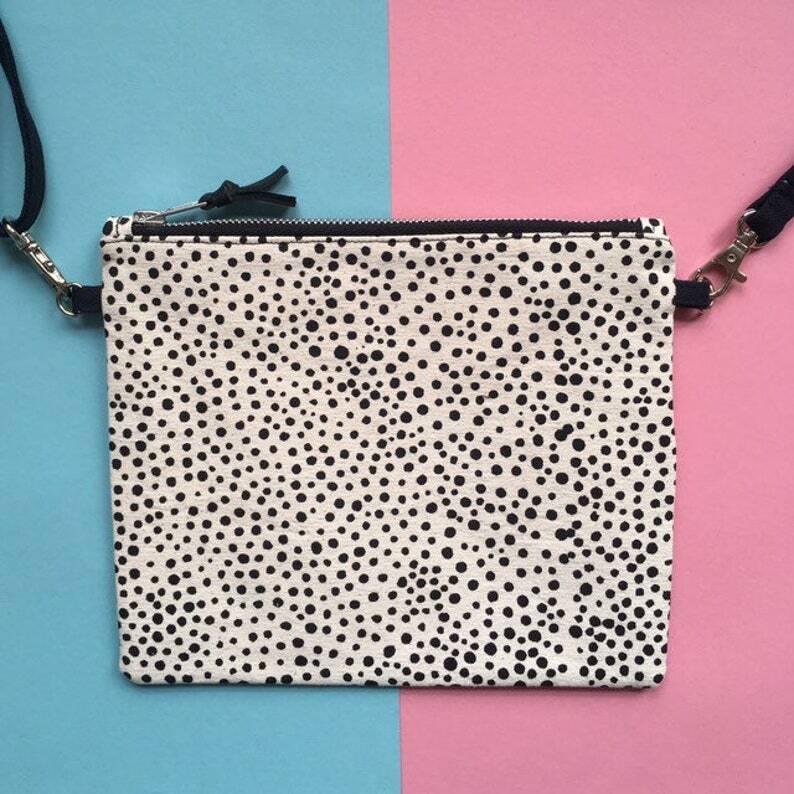 This handmade zip pouch is made from medium weight 100% natural cotton canvas hand screen printed with my original hand painted pattern using non toxic water based ink. It is interfaced to maintain its shape and fully lined with lighter weight bright red cotton fabric. It comes with detachable adjustable crossbody strap and closes with a chunky metal tooth YKK zip. Black leather ribbon is tied onto the zip pull for a little extra detail. The leather used for the zip pull comes from a sample book for luxury leather sofas which I saved from going into landfill. If you'd rather not have real leather zip pull, I can add faux leather instead. Please let me know if it's the case.